Based in London, she advises and represents clients on a range of family and personal law matters, including financial disputes and issues involving children. She is a trusted advisor in confidential matters, and will help you to achieve your objectives as cost-effectively as possible. Her particular area of focus is relationship breakdown between English and French nationals, and other nationals residing in France, England and Wales. For proceedings taking place in France, she personally defends her clients before French courts. For proceedings taking place in England or Wales, she works closely with British solicitors and barristers to represent her clients before English or Welsh courts. Peggy is a qualified Family Mediator in England and Wales. 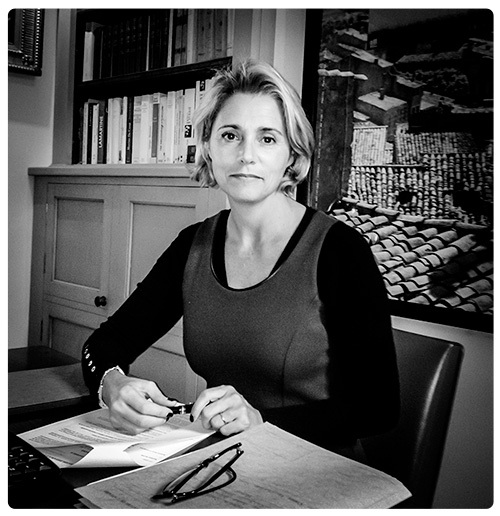 She is also a qualified Collaborative Lawyer in France, and a Member of the Academy of Collaborative Professionals. She is fluent in French and English, and has basic conversational Spanish.